When we were in Oahu, Sharon, Jack and I hiked up to the top of Diamond Head. 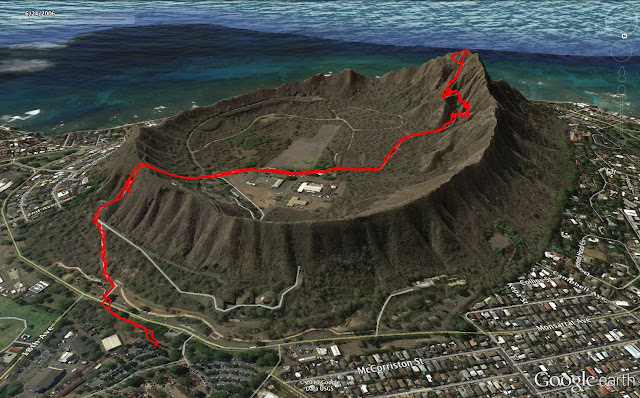 Using Runkeeper on my iPhone, I logged the hike and then loaded the track into Google Earth. 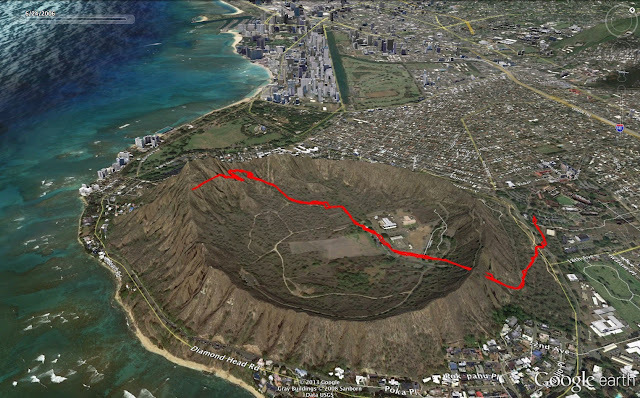 Here are a couple of views of the hike in Google Earth. In the second image, Waikiki Beach is in the upper center part of the picture.